Map created by the US Census Bureau The map above shows the increase in the number of young adults (18-34) in the United States living at home with their parents in 2015 compared to 2005. 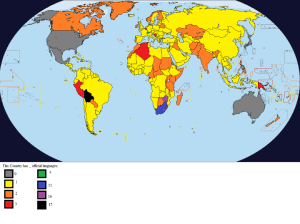 Map found via Reddit The map above shows just how large California’s economy is compared to almost every other country on earth. 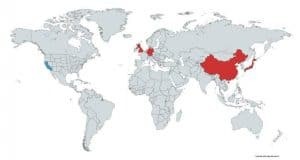 Depending on how you measure it, only the UK, Germany, Japan, China and of course the United States itself, have larger economies than California’s. 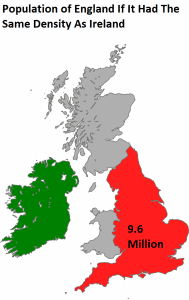 Here are two random facts that show either how densely populated England is and/or how sparsely populated the entire island of Ireland is. 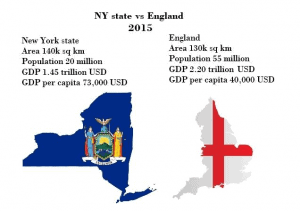 New York State Vs England – How Do They Compare?